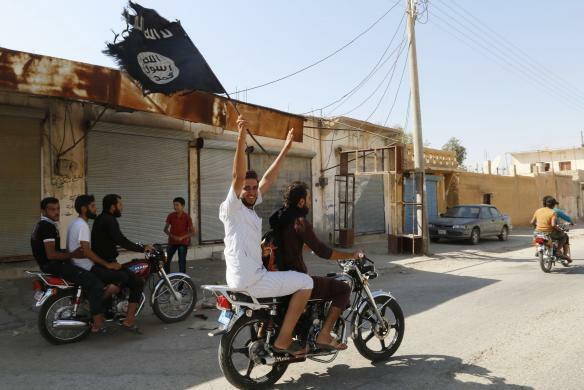 WASHINGTON - The US-led coalition launched seven air strikes in Syria and three in Iraq on Wednesday against Islamic State militants, the Combined Joint Task Force said in a statement. 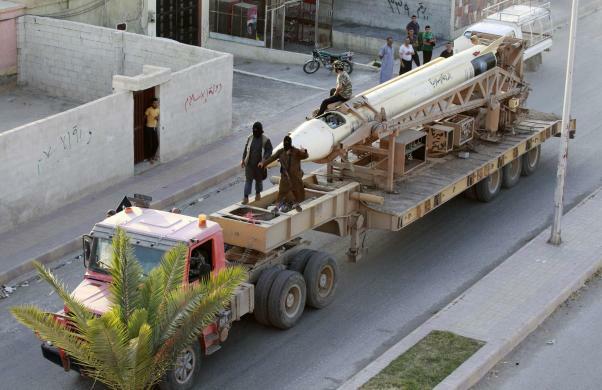 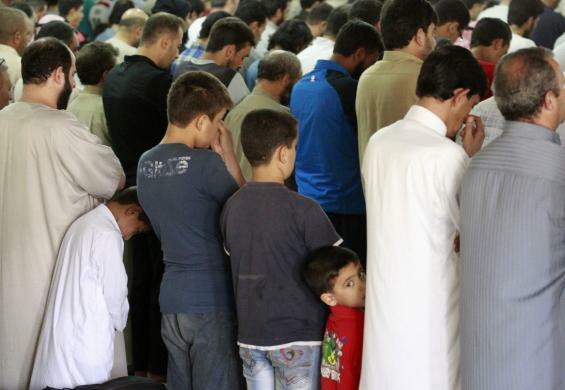 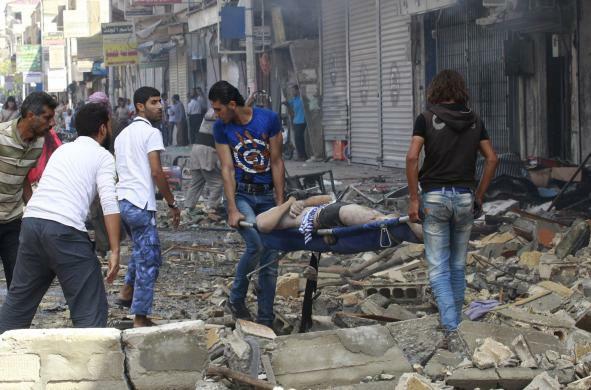 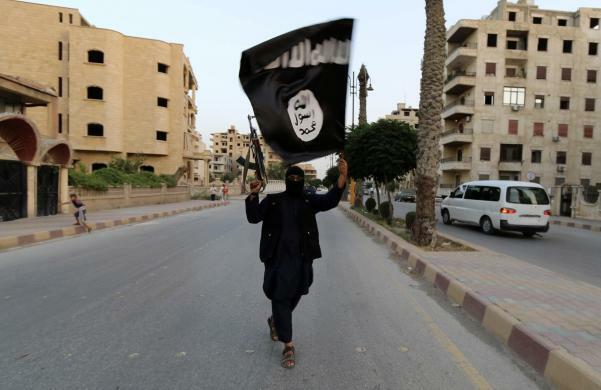 In Syria, five of the air strikes were near Kobani and two were near al Hasakah, the task force said in a statement. 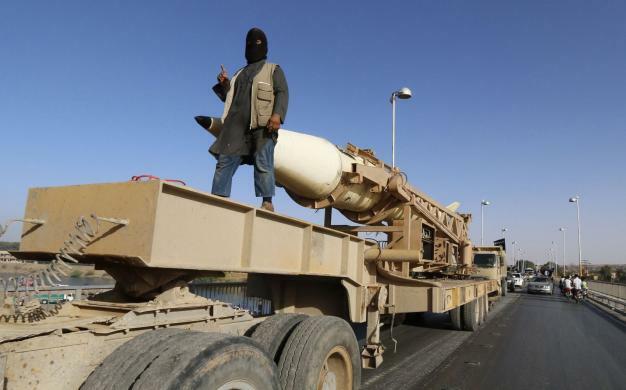 Two of the strikes in Iraq hit Islamic State positions near Fallujah and one hit targets near Mosul, the statement said. 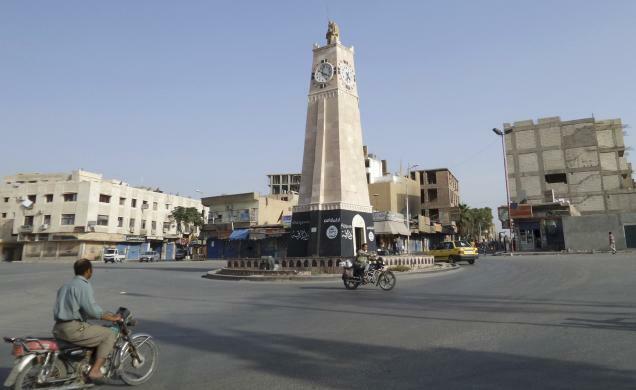 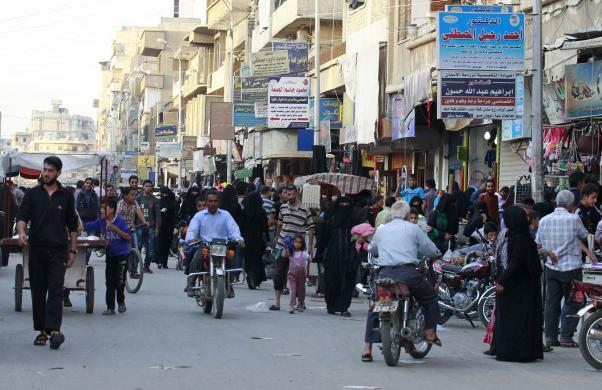 Tal Abyad street market in central Raqqa, ahead of the Muslim Eid al-Adha holiday, October 3, 2014. 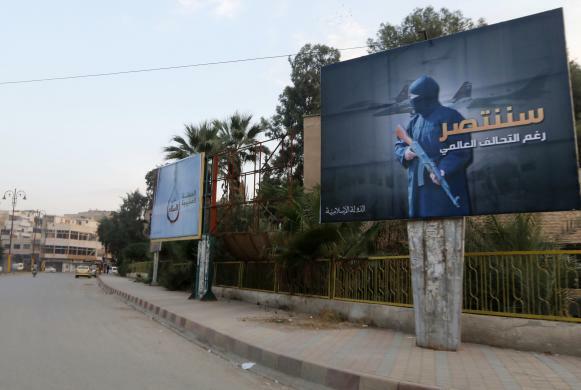 The billboard reads: "We will win despite the global coalition". 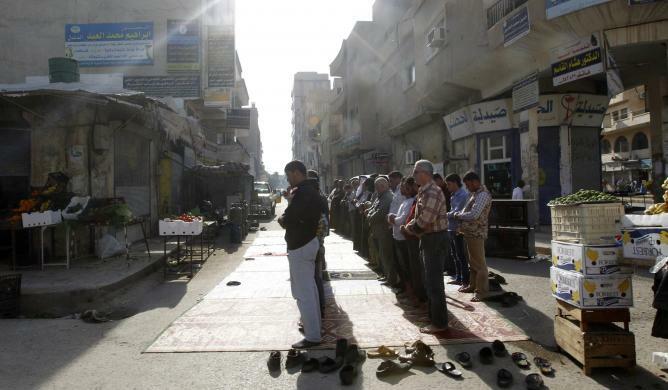 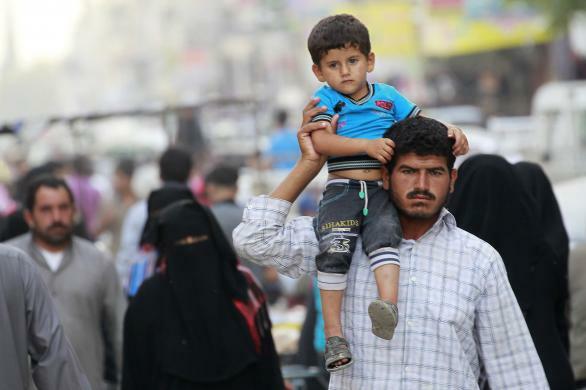 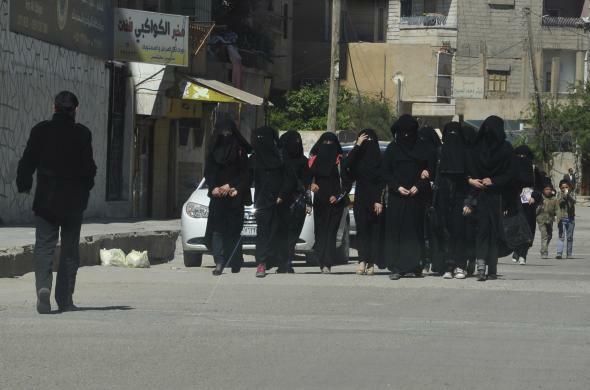 Residents walk along the Tal Abyad street market in central Raqqa. 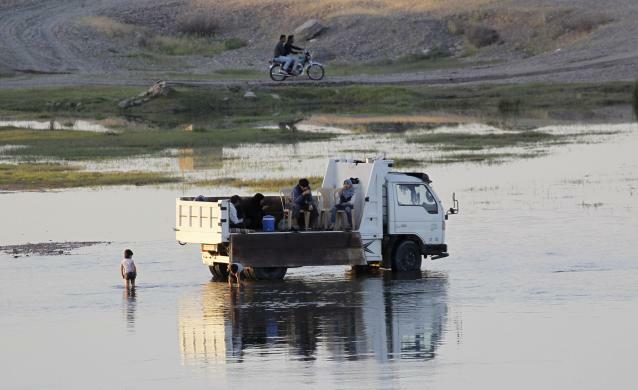 Residents rest by the Euphrates River in Raqqa, April 11, 2014. 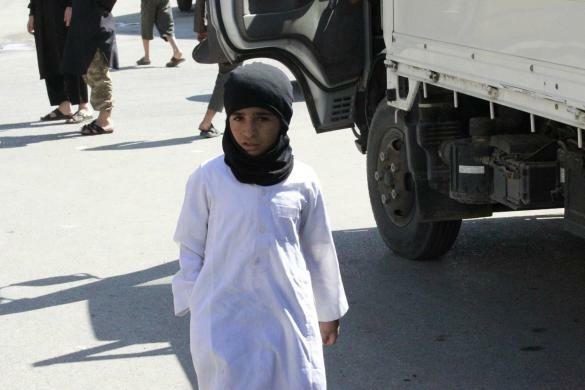 A boy stands during a protest against the U.S. airstrikes on the Islamic State (IS) in Raqqa, September 26, 2014. 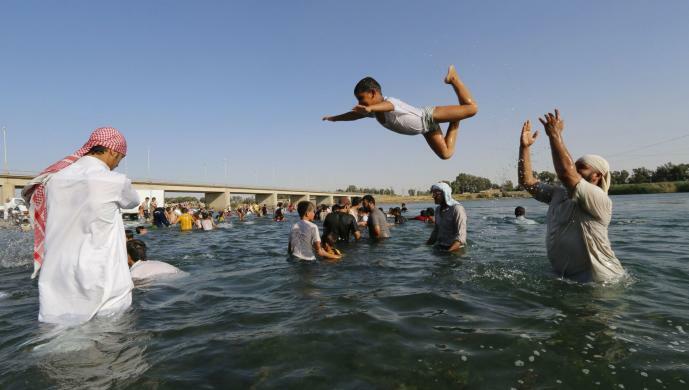 Residents swim in the Euphrates River in Raqqa, July 3, 2014. 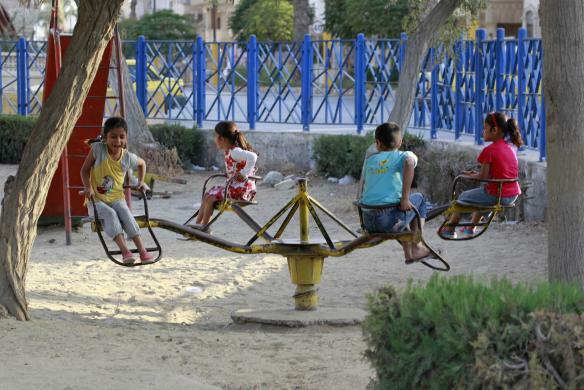 Children play on a ride inside a park in Raqqa. 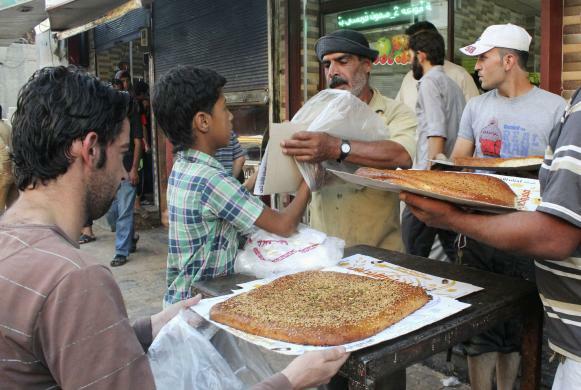 A vendor sells traditional bread during the Muslim holy fasting month of Ramadan in Raqqa province. 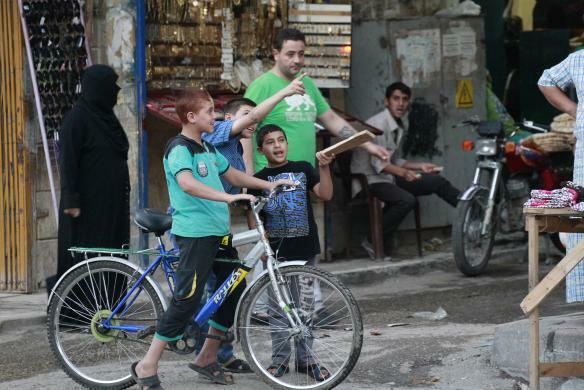 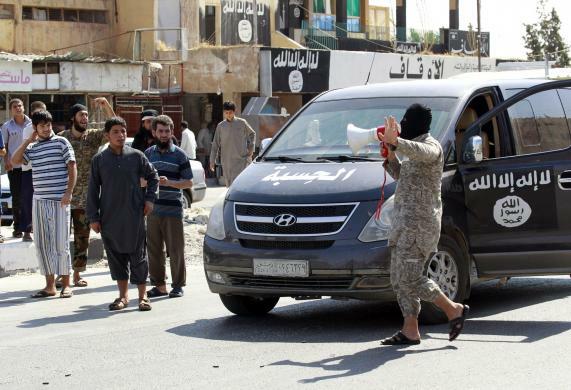 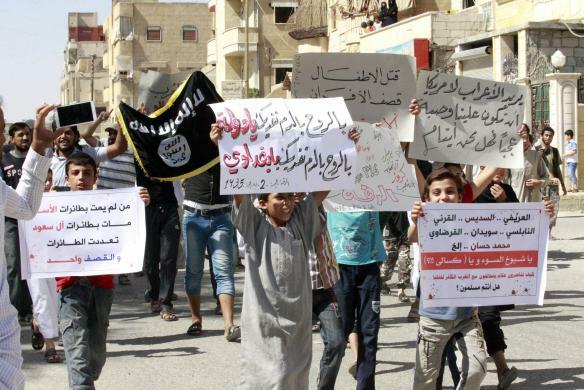 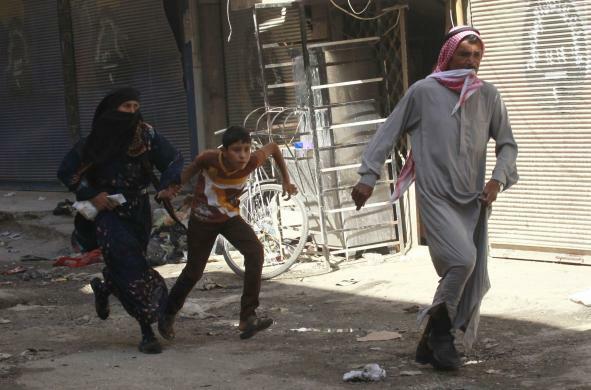 Children gesture as they stand on a street in Raqqa. 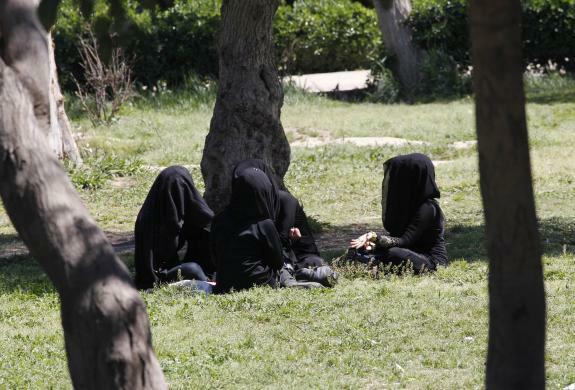 Veiled women sit as they chat in a garden in the northern province of Raqqa. 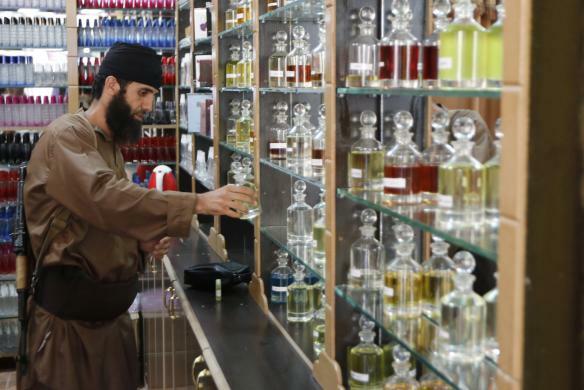 A resident inspects perfumes inside a shop in Raqqa. 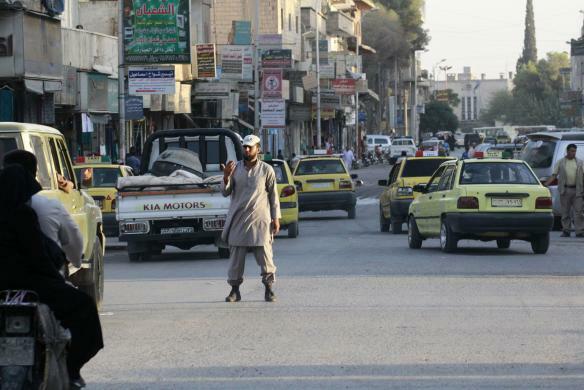 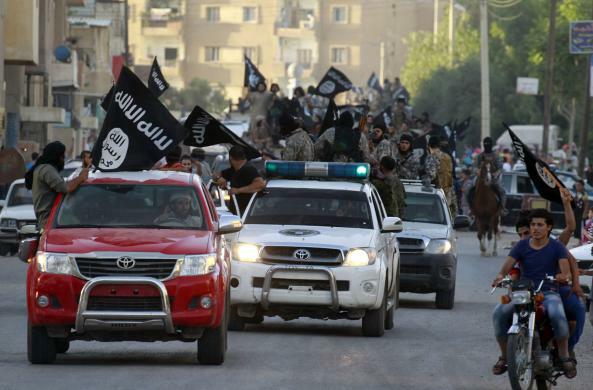 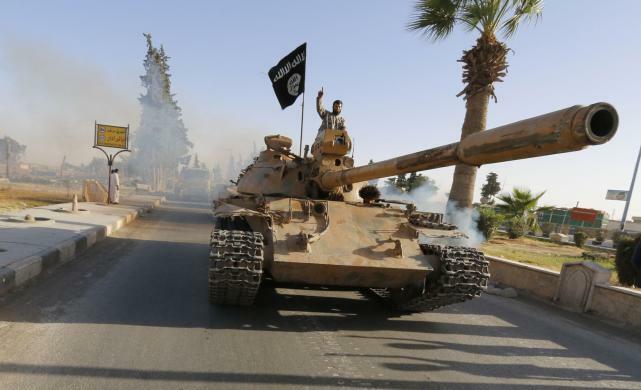 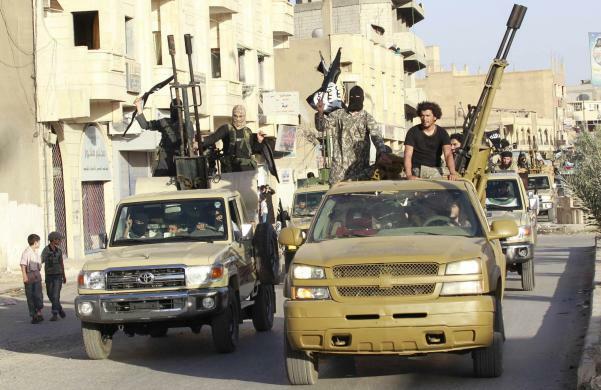 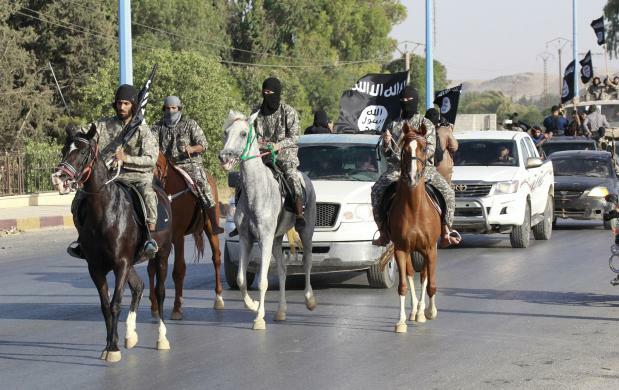 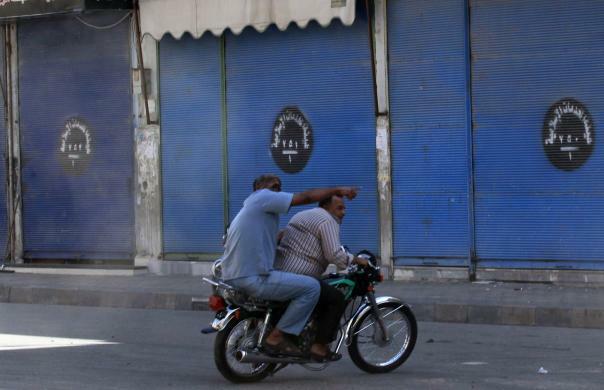 Residents drive and ride their vehicles through a street in central Raqqa. 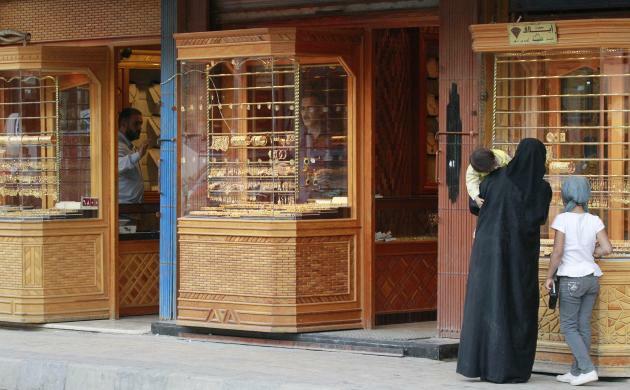 Residents look at gold jewellery displayed at a shop window. 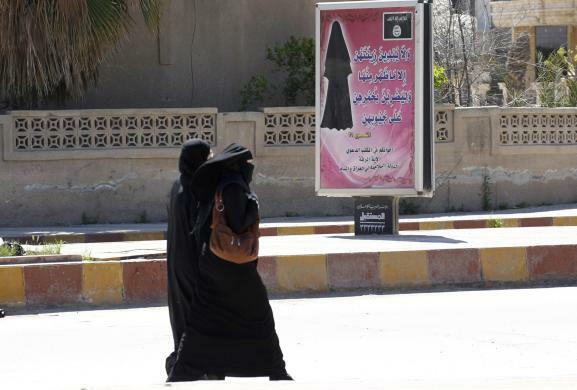 Veiled women walk past a billboard that carries a verse from Koran urging women to wear a hijab. 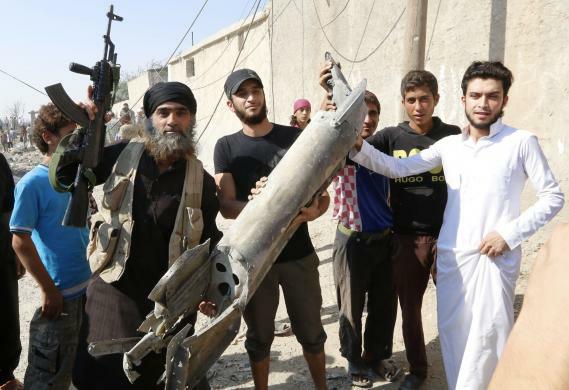 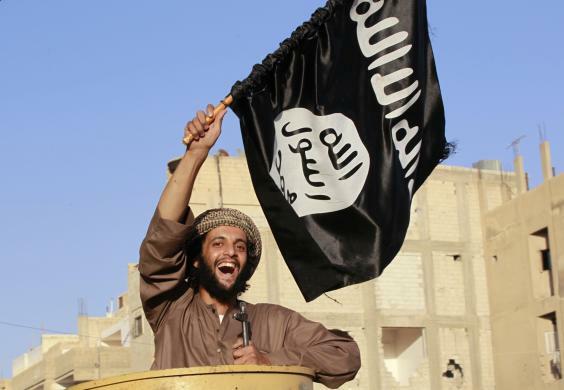 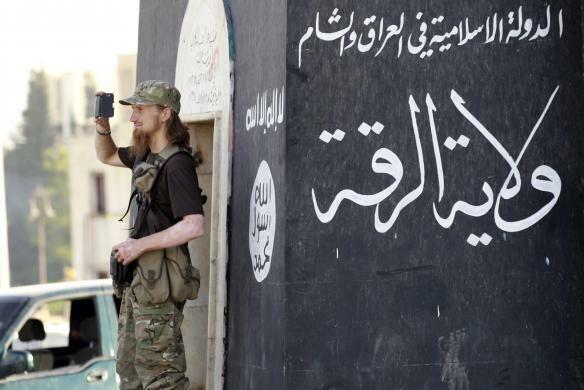 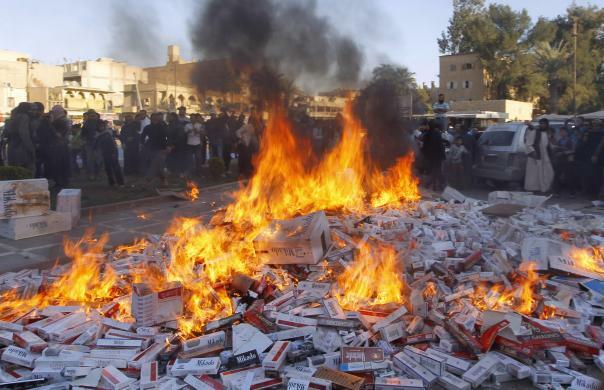 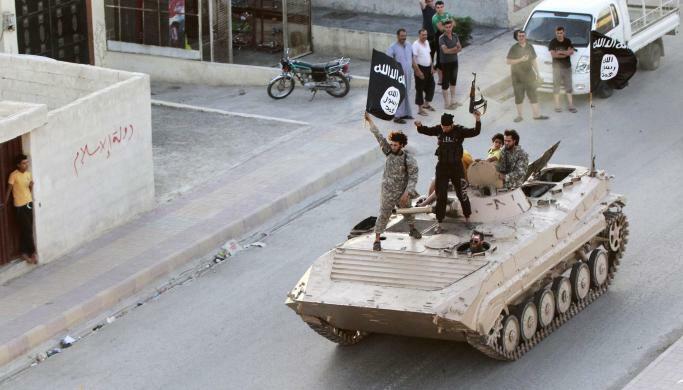 Fighters from Islamic State in Iraq and the Levant burn confiscated cigarettes in the city of Raqqa.